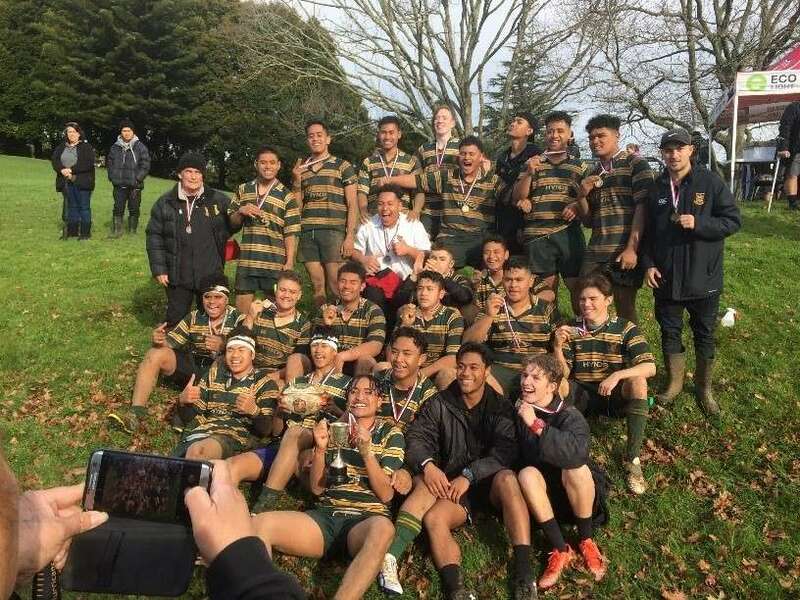 The 2nd XV Development Team played Waiuku 1st XV in the final of Counties 2nd XV Division 2 Championship on Saturday 19th August at Ecolight Stadium #2 Ground. The first half was played in pouring rain and it was a very tight affair with both teams having their chances nullified by excellent defence. However just before half time Ata Mariota broke from the back of a scrum and went in under the posts to score and we led 5-0 at half time. Shortly after half time Waiuku slotted a penalty and further attacks were again thwarted by top defence from both teams. After 22 minutes Sefa Tanielu scored our second try and we led 10-3. Waiuku finally crossed our line with four minutes left to play and converted the try to make it 10-10. 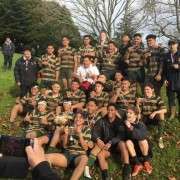 That is the way it stayed right through to full time and we MHS was declared the winner as we scored the most tries. A tremendous finish to a hard but successful season.